When beauty bloggers mention skincare we generally think of face care (face creams, exfoliators, washes etc) but what about the rest of the body? I feel women's skin as a whole isn't talked about enough. As teenagers we have all experienced (or maybe you are currently experiencing) the body going through some rapid changes during puberty and sometimes stretch marks can appear from sudden growth during these years of your life. 43% of women have stretch marks and 24% have acne scarring- its a lot more common than we expect! I know that young people, especially, can be embarrassed to talk about these skin issues with 16-24 year olds rating their body confidence at only 5.5 out of 10 on average. I am a huge believer in self confidence and love (even if I find it difficult myself sometimes!) so I jumped at the chance to try Bio- Oil when it was offered to me. Bio- Oil has been clinically proven to help improve the appearance of scarring, acne scars, prevent and improve the appearance of stretch marks, replenish skin's natural oils and helps improve the appearance of uneven skin tone therefore helping to improve self-confidence day by day! Bio- Oil is made up of fantastic Vitamin A and E with natural plant oils such as Calendula, Lavender, Rosemary and Chamomile which are hugely beneficial to the skin. Also, with PurCellin Oil it creates a dry oil type texture which is easily absorbed into the skin which I love because it doesn't leave your skin feeling greasy like some other moisturising products. You can use Bio-Oil pretty much anywhere, whether it be on your scars and stretch marks or on your dry elbows and knees, nail cuticles or dab on your face for a light moisture replenish! I especially love to use it to even out my skintone on my face and it creates a fantastic base for makeup too! I genuinely love this product and have already recommended it to my friends and family. My Mum is especially a big fan of it too! Bio- Oil also has some celebrity fans too, including Rochelle Humes and Una Healy from The Saturdays, Jade Thirlwall and Leigh-Ann Pinnock from Little Mix! They swear by the stuff! I genuinely love this product ( I wouldn't be recommending it to you guys if I didn't!) and I think that it should be a staple in every teenage (or adult!) beauty cupboard! 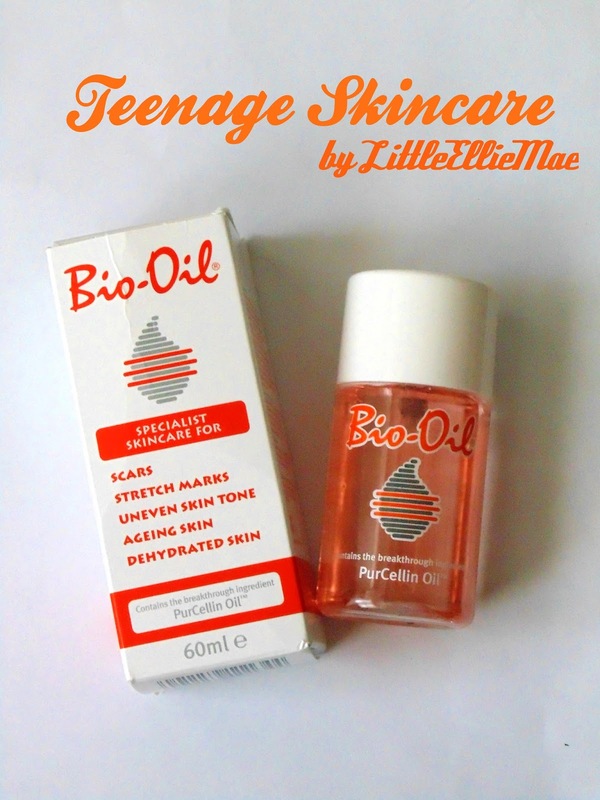 Have you tried out Bio- Oil before, if so what did you think? What is your favourite beauty cupboard staple? I'd love to find out your recommendations too! I've been meaning to try Bio-Oil for years. It seems like a long established favorite for many. It's been added to the ever growing list so I don't forget again!